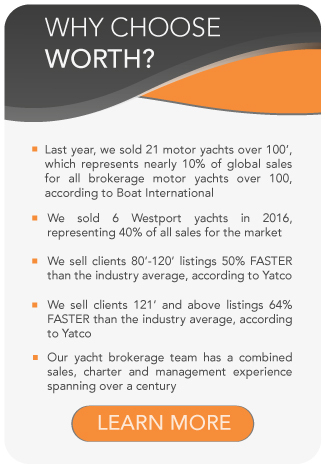 All Rossinavi yachts for sale worldwide are listed below, scroll down to view them. Rossinavi is an exclusive Italian based shipyard known for its specialization in metal working. Every component of the Rossinavi full custom yachts is designed, developed and produced in-house; thus, allowing for flexibility in creativity based on individual clients’ needs. With a fleet ranging from 92feet / 28meters (m/y Rose Pigre) up to 256feet / 70meters (m/y Numptia), Rossinavi is steadily conquering the sea with inspiration, intelligence and dedication. 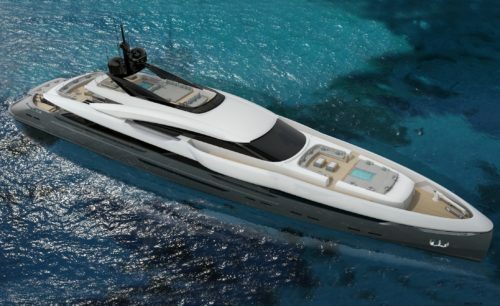 The Rossi shipyard was originally founded in the 1970’s as a general partnership company dedicated exclusively to metal carpentry, constructing hulls and superstructures for the burgeoning custom yachts builders in the area, such as Benetti and Codecasa. The immense passion for boats and the specialization in metalworking steered the company’s production on a regular and progressive path towards the world of shipbuilding. In 2007, the shipyard completely restyled its image with the acquisition of the new “Rossinavi” brand. The creation and development of the entire new image kept the heritage of the original Rossi Group’s management aspirations: simplicity and elegance. Rossinavi yachts are constructed either entirely in aluminum or steel hull with aluminum superstructure. Exterior and interior designs are taken on by Enrico Gobbi and lately, a first cooperation with the designer Fulvio De Simoni is underway. 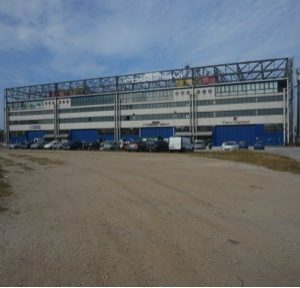 Their production sites are distributed between Viareggio and Pisa: Polo Nautico, devoted to the outfitting and refitting; DR12 in the Viareggio Harbor dedicated to the construction of yachts up to 55 meters; and Navicelli, the Pisa production site tending to the construction and fitting of hulls, superstructures and completed vessels. This production site has direct access to the sea through the Navicelli canal, and consequently, the port of Livorno, and is also shared by Cantieri Di Pisa, Codecasa and the Mangusta Group, as as well as commercial facilities. However, the heart of Rossinavi is the mechanical workshop, specialized in metal working and electro-hydraulic systems, based in inland Viareggio. Single unity underwater light “boxes” milled from a solid piece of aluminum, in which the underwater lights are placed, forming a strong watertight enclosure in the case of light fixture failure, is an example of Rossinavi’s forte in metal working. World Superyacht Awards, Amsterdam – m/y Vellmarì KETOS was awarded with Judges’ Commendation for the category “Three-deck semi-displacement or planning Motor Yacht 45m and above”. Showboats Design Awards 2014, Innsbruck – m/y “Vellmarì” KETOS Project was awarded for “Exterior Design and Styling Award – Semi-Displacement Motor Yachts”. m/y Numptia wins two awards in the categories Naval Architecture and Bespoke Furniture. We currently have no yachts to show. Please check back again soon.